Much time and thought has been given by the School Board and the Administration to creating a plan that will take Lee Academy to a new level of excellence. This plan will provide a structure to move Lee Academy forward in an educational transformation. 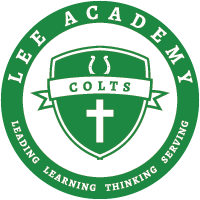 The development of this plan, as we move forward, will ensure a vision that will elevate expectations and performance for all at Lee Academy. Establishment of immediate short term goals and development of a strategic two year plane prioritizing scholastic targets, strength budget requirements, developing future partnerships within our community, and staff development. Continue to explore new approaches and ideas for Fundraising efforts. Fundraisers through the remainder of this school year will include a Spring Fundraiser, an Annual Fund Drive and the formation of an Alumni Association to include an online fundraiser. Evaluation of staffing needs and efficiency necessary to provide the most progressive educational opportunity for Lee Academy students. At this time the Lee Academy School Board is pleased to announce Mrs. Rone Walker as the new Headmaster of Lee Academy. Mrs. Walker brings 10 years of experience as an educational administrator. This experience has equipped Mrs. Walker with extensive knowledge of State and Federal program opportunities for private schools which off possible financial and instructional material benefits, curriculum advancements, and dual enrollment strategies. Mrs. Walker brings with her experience in providing continued professional development for teachers and help with classroom implementation. As a trained counselor, Mrs. Walker excels at prioritizing each child’s academic and personal development, while working with the students’ individual strengths to ensure the highest level of student’s success. Moving forward, Mrs. Walker will continue to add focus as we continue to outline our strategic plan to insure a sustainable college preparatory school for our community and surrounding areas. The Lee Academy School Board is very excited to welcome Mrs. Walker to the Lee Academy Family and ask that you welcome and support Mrs. Walker as we move toward the 2016-2017 school year. Lee Academy has a very bright future and a vision for success.